3D gaming made a giant breakthrough in the gaming industry. Suddenly, games changed from two dimensional lines and curves, and allowed an immersive gaming experience of all three dimensions: length, width and depth. Whole new universes became available to be explored, whole new ways of creating a gaming experience, so of course, it was necessary to take it to the next level, and virtual reality was brought into existence. Today, we have incorporated 3D technology in almost every aspect of media and entertainment. You can watch movies in 3D both at the movie theater and at home, if you have the proper technology, a 3D television screen and goggles, and movie theaters are expanding to 7D viewings, allowing us not only to see what happens on screen, but to experience it as well. Games are created in three dimensions, but then are transferred onto a two dimensional screen. At best, no matter how great the graphics are, you are looking at a window into the world of the game. And while this form of immersion into a game is pretty good, especially with graphics and rendering software pushing the limits and creating games that are more and more realistic, it cannot compare to experiencing a game in 3D. When it comes to gaming, you need hardware that is a bit more expensive and difficult to acquire, but 3D gaming has been around for more than ten years, and you can easily get it at home. Then you can enjoy playing the games as if you are really inside the world of the game, and you will discover how the gameplay changes completely. Suddenly, turning around and firing is not as easy as before, because you need to adapt to a whole new level of controls, but you are no longer looking in through a window – you are there. One of the reasons why 3D gaming has not taken over the whole gaming industry is the minor drawback of time. Since we are used to perceiving a game as if through a window, one might find it difficult to get accustomed to the new form of depth perception that is controlled strictly from the game, the graphics and the renderings. In other words, all our lives we experience depth perception as controlled by our eyes, but now, the brain needs to get accustomed to a whole new perception, and as such, often causes headaches in players after half an hour of playing. It can be compared to the effect of wearing sunglasses that skew your depth perception and vision and make you want to take them off after wearing them for a short period of time. Online gambling is slowly taking over traditional land based casinos, not only because it’s convenient and everyone could gamble from their own homes or on the go, but also because online gambling today offers a whole different experience that cannot be found at a land based casino. 3D graphics have allowed for the creation of video slot machines, poker, blackjack and roulette games that are very different from the ones offered at land based casinos, contributing to the increasing popularity of online casinos and online gambling. With 3D technology, players can experience the real feel of casinos without actually needing to go to a casino. If the effect of gambling had been lessened because of the two dimensional screen window into the game, now gamblers can feel as if they really are into a casino, getting the full casino experience. Virtual reality is still fairly new. The concept lies on the use of virtual reality helmets, commonly referred to as heads-up displays, or HUDs. As of today, these virtual reality helmets haven’t become a must have for every gamer, due to the fact that they haven’t been optimized and perfected. 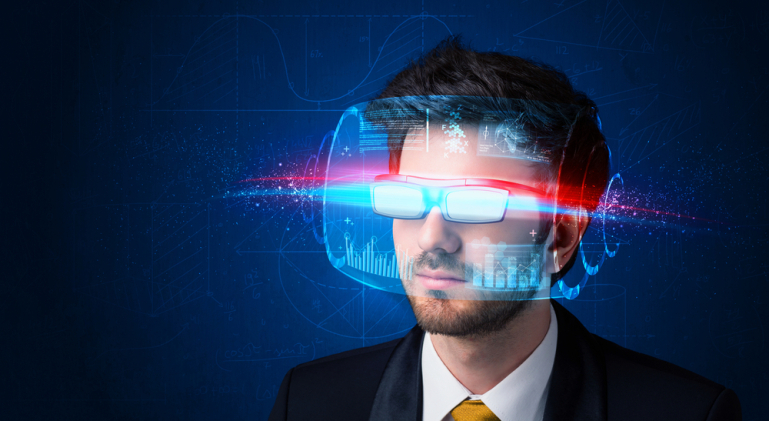 However, the hardware and software necessary to create an immersive virtual reality experience is constantly in development, and it will not be long before virtual reality gaming and gambling becomes common. Many consider the future of online gambling to be with virtual reality casinos. Online gambling has been constantly trying to create an immersive experience for the gambler, since its initial conception more than a decade ago. In the time since, the technology behind online gambling has experienced plenty of innovations from gaming platforms, and each new game not only simulates a casino experience, but creates a whole different experience as well. It is the reason why live casinos are being offered today at plenty of online casino websites, and with 3D and virtual reality technology, this experience can be taken a step further. Of course, the benefits of 3D gambling are followed by the negative side of gambling. Gambling might not suffer the same stigma as it did in the past, but many people today suffer from gambling addiction, which can be really dangerous and lead to the destruction of a person’s life. 3D gambling attracts more and more gamblers to 3D casinos, and as a result, gambling addiction can rise and affect many people if they are not made aware of the dangers. Here you can find more information about just how dangerous gambling can be, and just how big of an effect online gambling has on people who have problems with gambling. In addition, with real life casinos made available to gamblers from their own homes, the chances of problem gamblers falling into relapse increase, thus making it more difficult for pathological gamblers to fight the temptation and overcome their addiction.